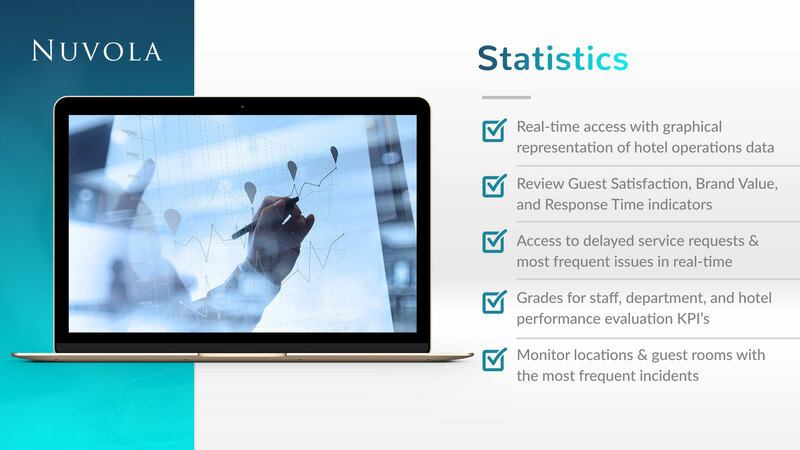 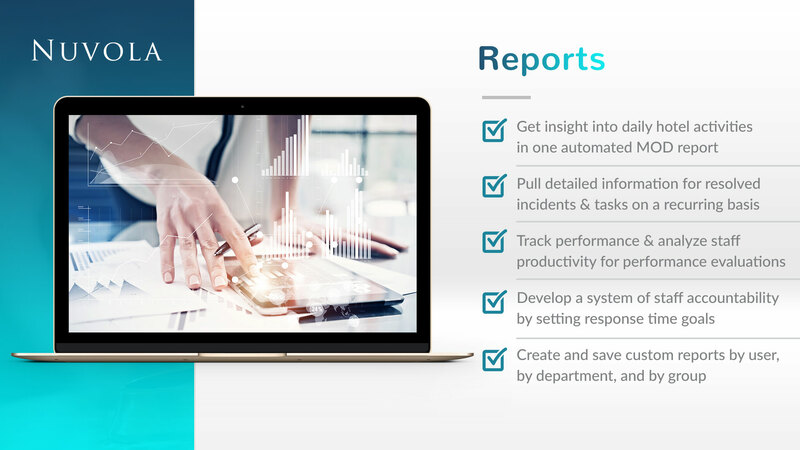 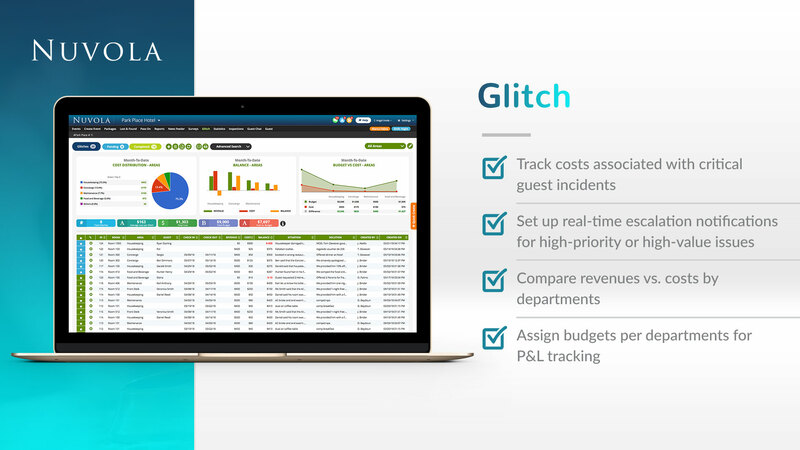 Manage your entire hotel based on your SOP's, incorporate your PM program, create recurring reports, develop guest surveys, and get insight into real-time productivity statistics. 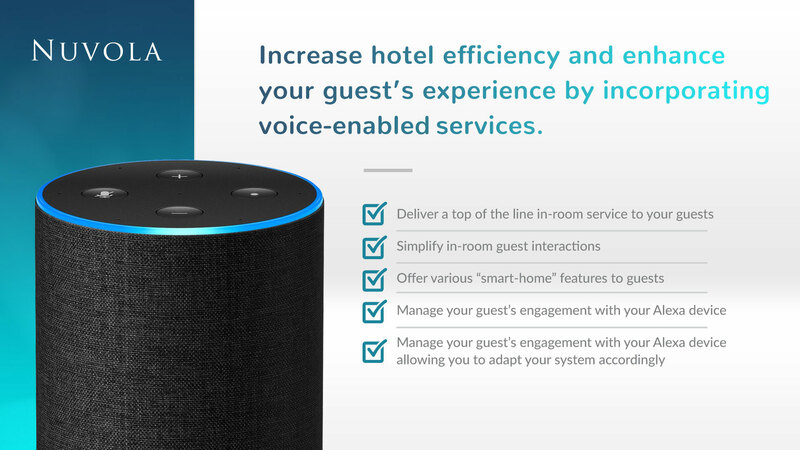 A Concierge system for your premium property and guests. 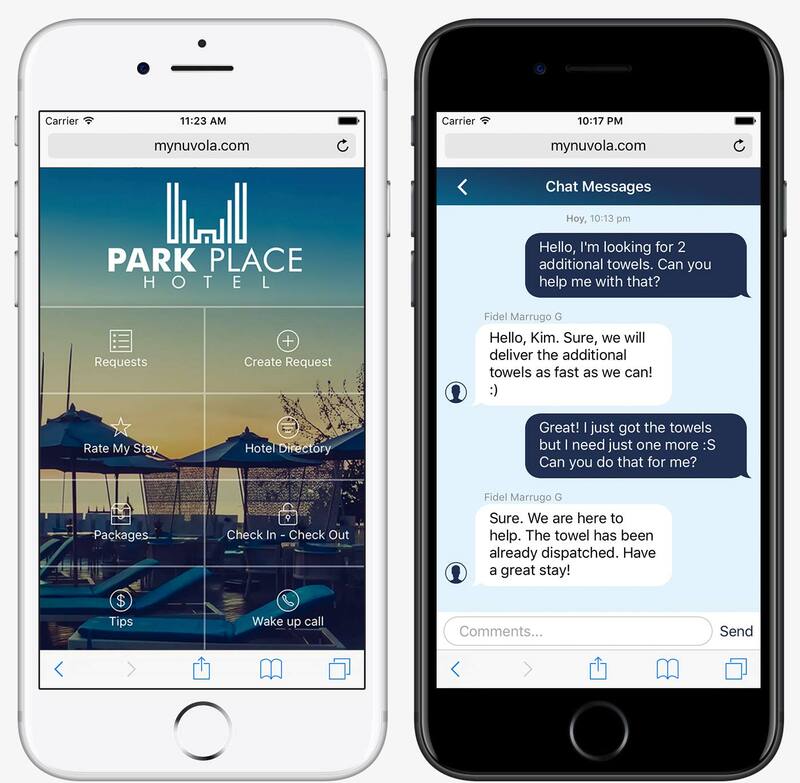 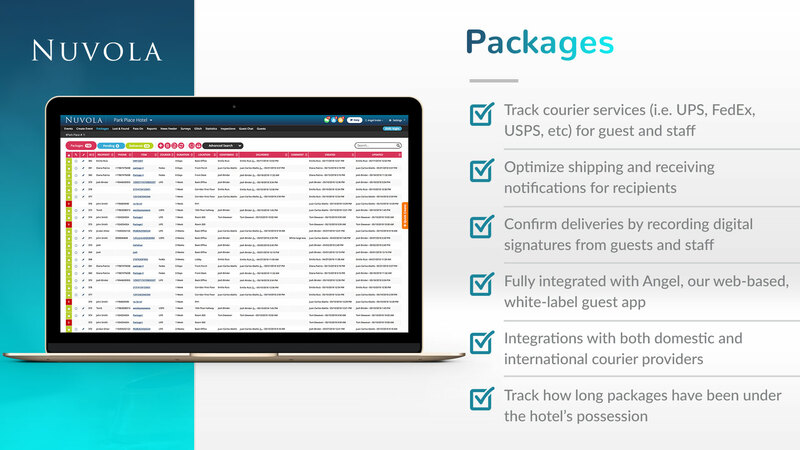 Manage guest reservations, amenity bookings, itinerary planning, and more. 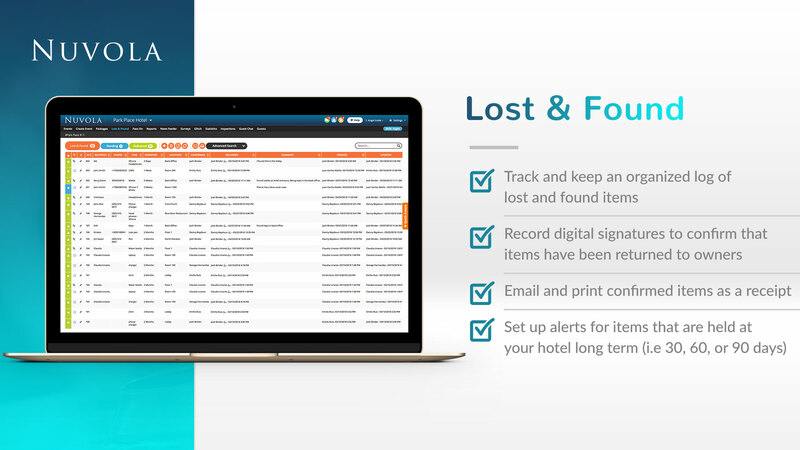 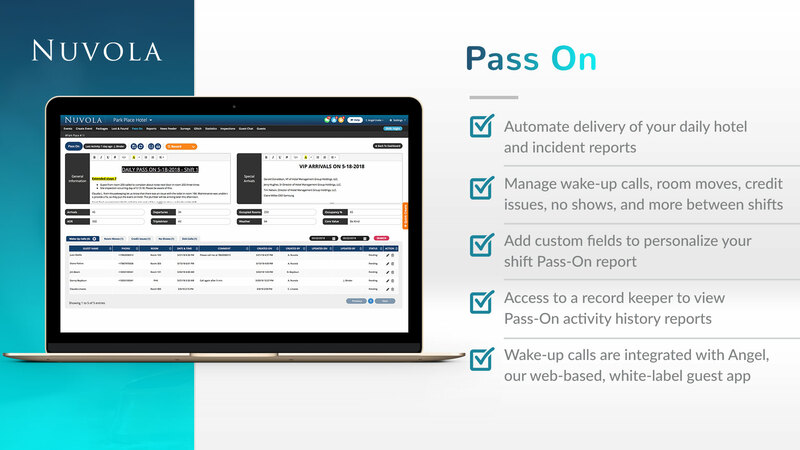 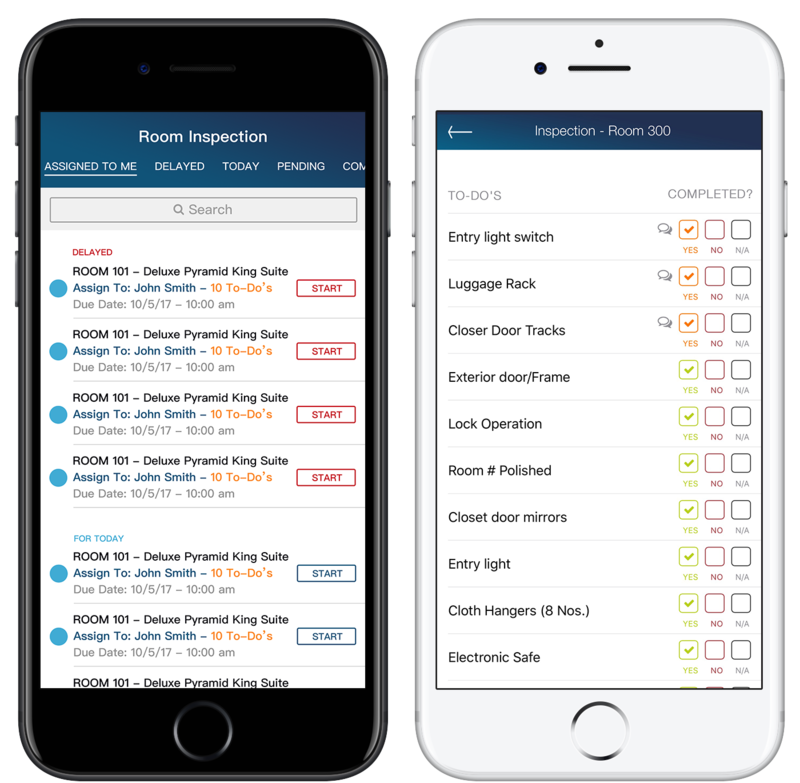 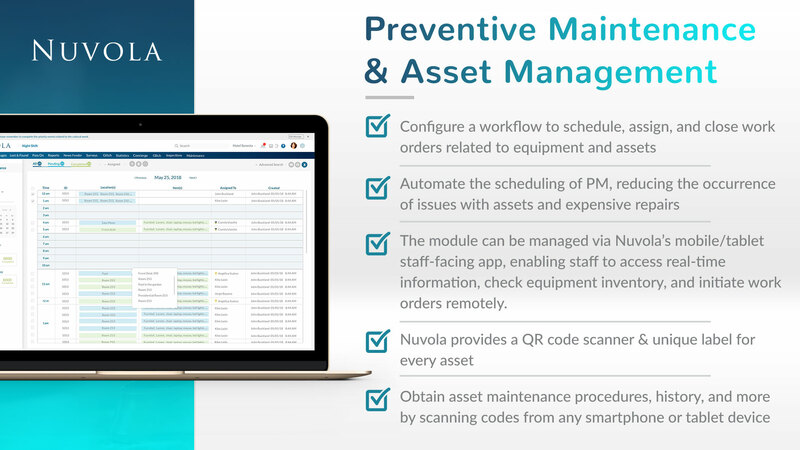 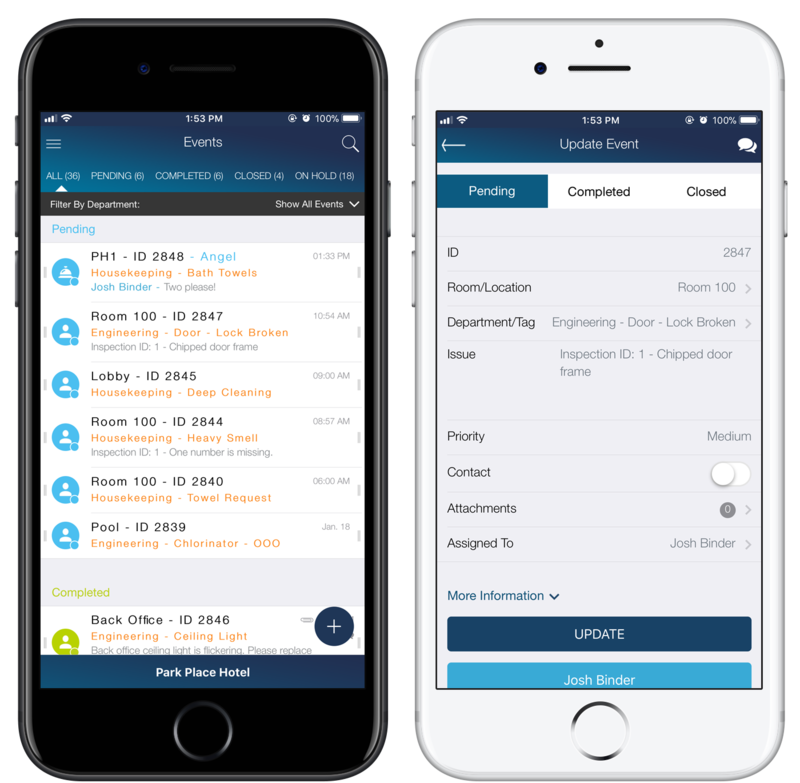 Whether it be service request delivery, preventive maintenance, housekeeping, managing lost and found, or attending to room inspections, empower your staff to work smarter via our mobile & tablet native applications. 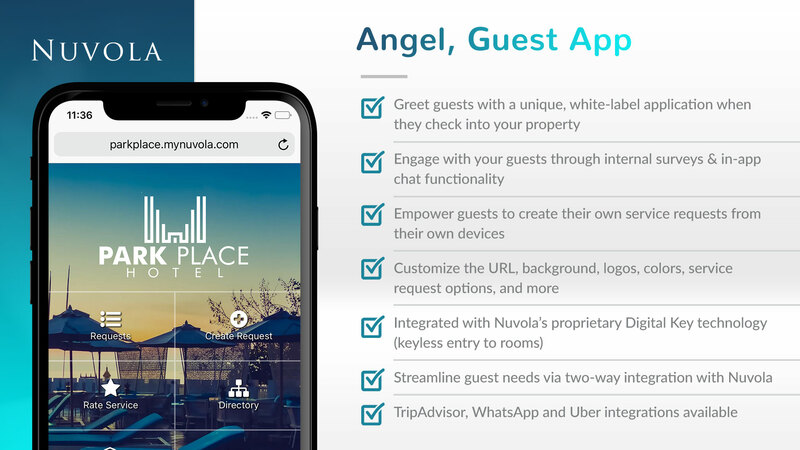 Curate a unique, white-label experience for your guests with Angel, our web-based guest application that does not require downloading an app to mobile & tablet devices. 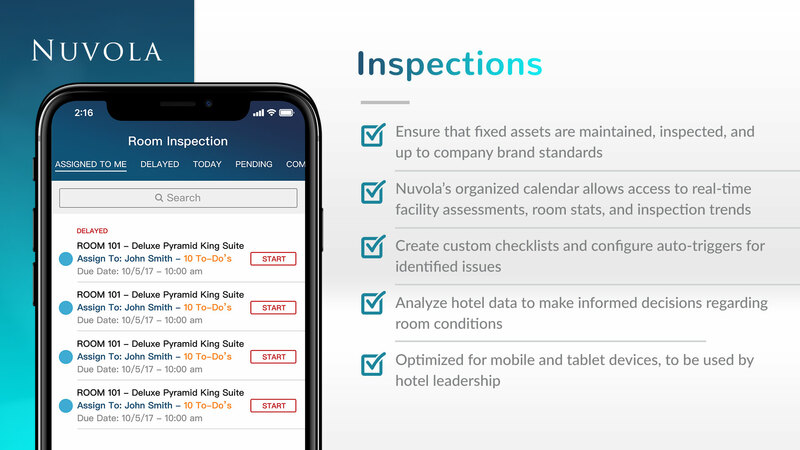 Streamline & get data-driven insights into your inspections process. 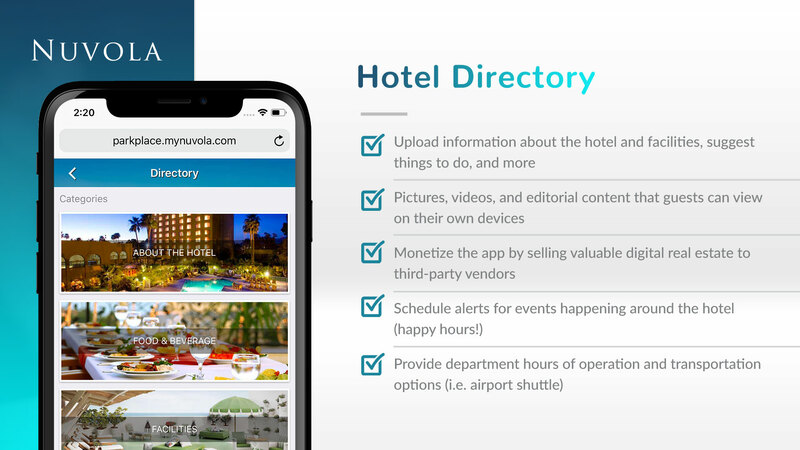 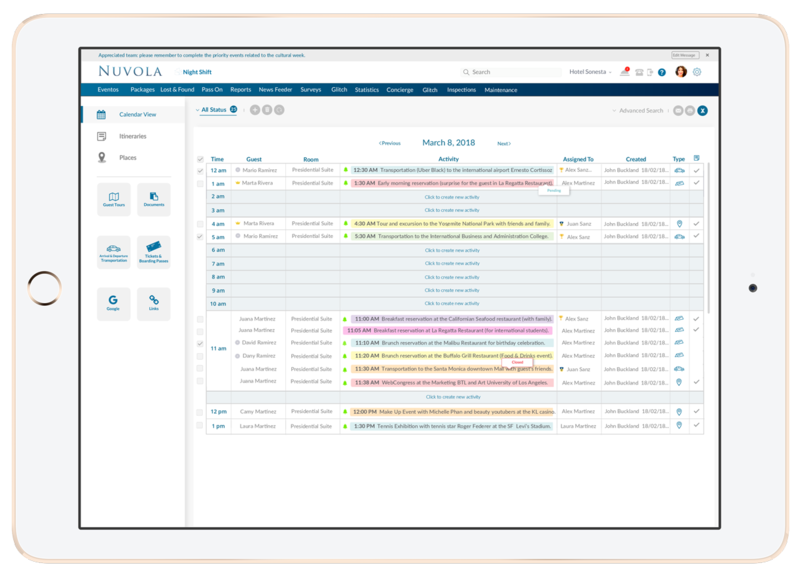 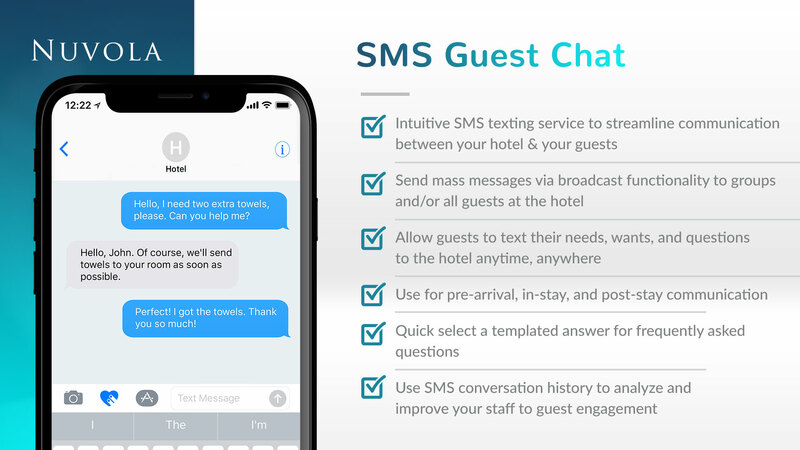 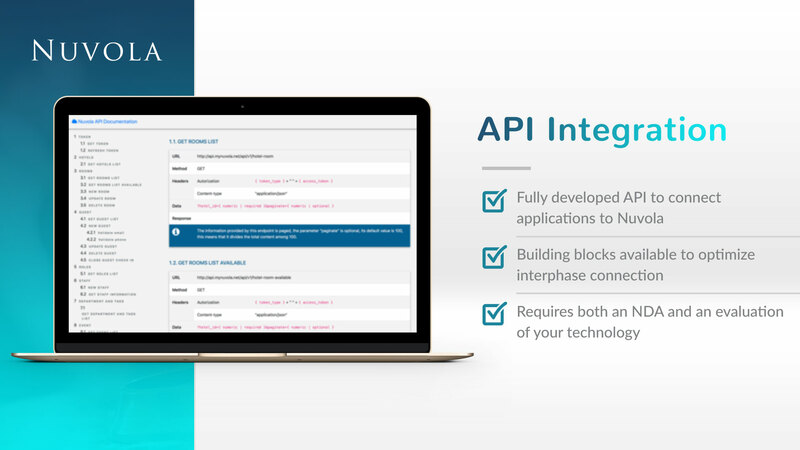 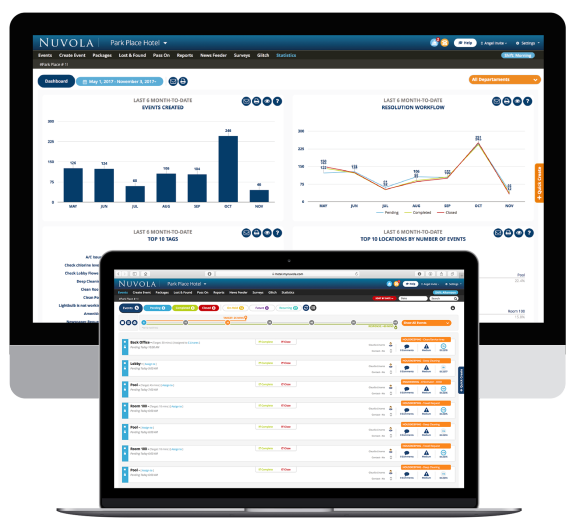 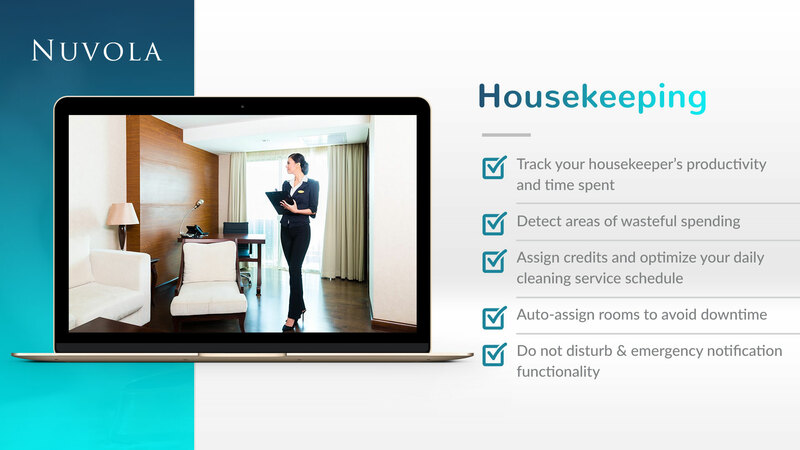 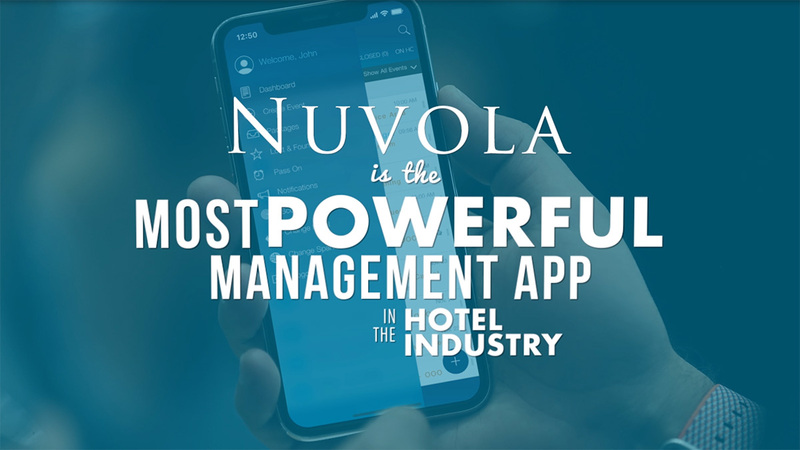 Nuvola is powerful software that improves customer service, increases productivity, and reduces costs for your hotel by supporting and streamlining guest service operations. 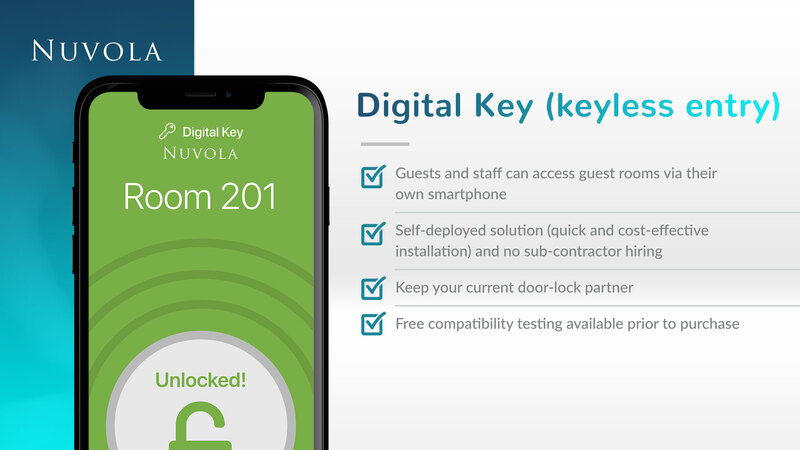 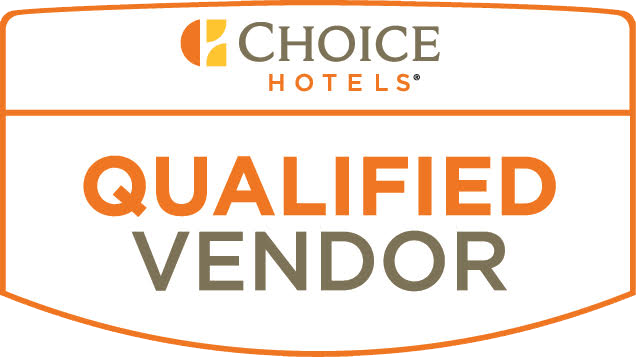 To see Nuvola at work and to learn how Nuvola can transform your hotel, contact us today for a product demo.